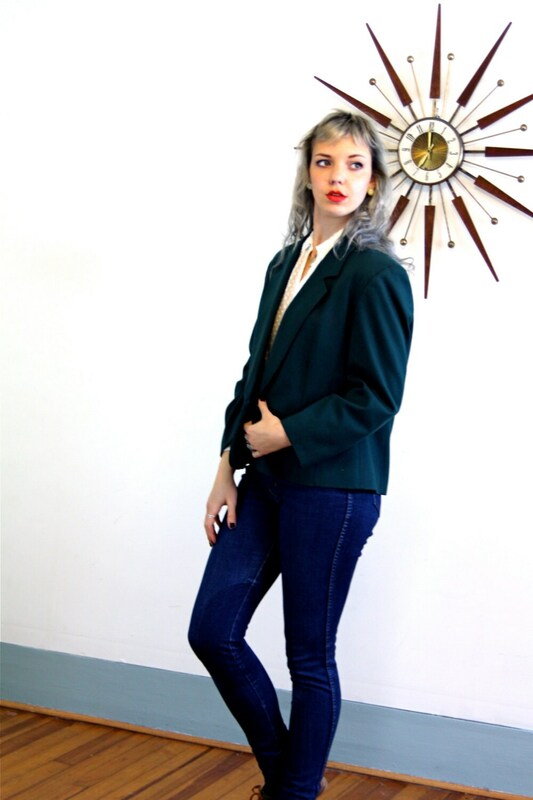 This is a gorgeous vintage 90s Pendleton blazer! 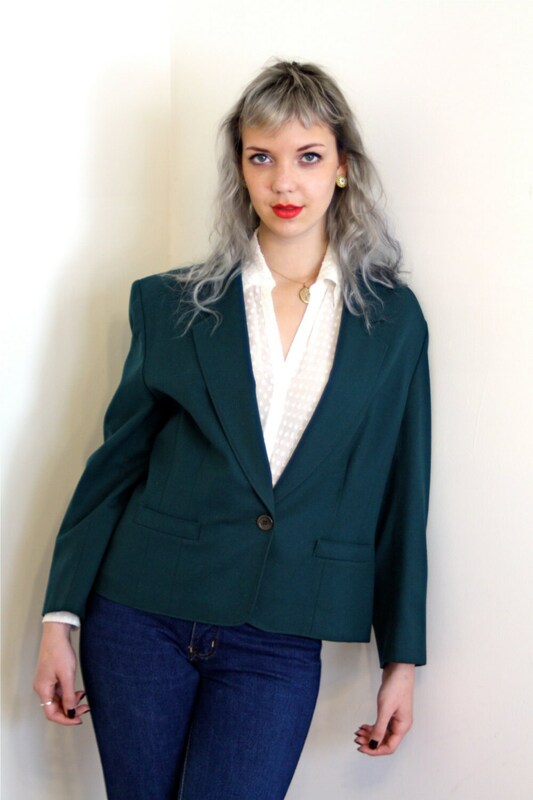 This dark forest green wool women's blazer is It has a fitted cut, and bold shoulder pads. 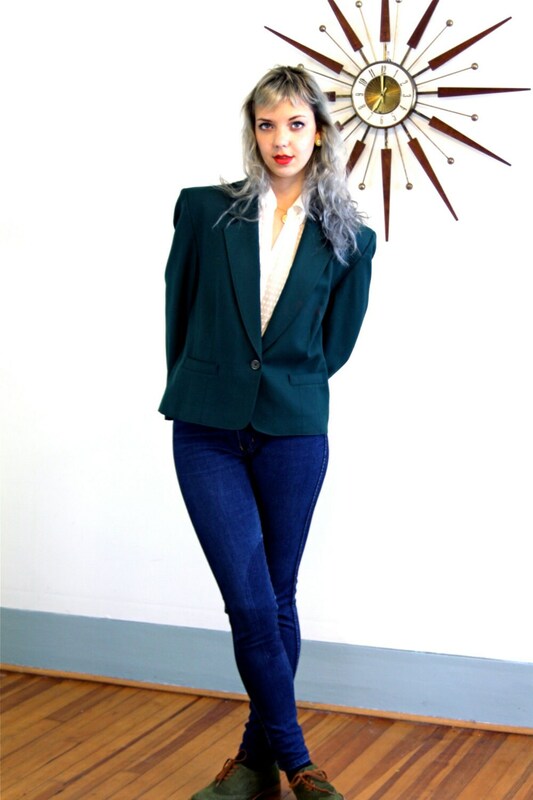 Short wool blazer is fully lined with green satin. 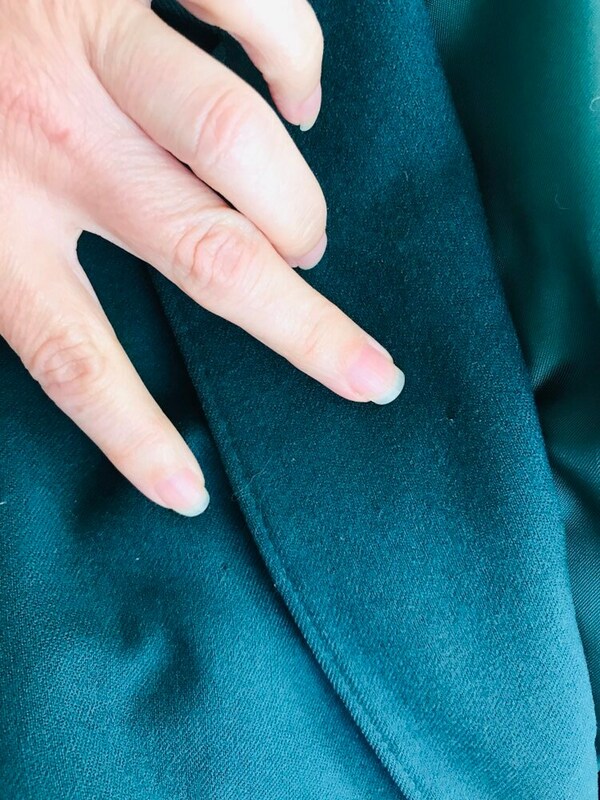 There are two front pockets and one button in the front. *true color best seen in closeup on tag. 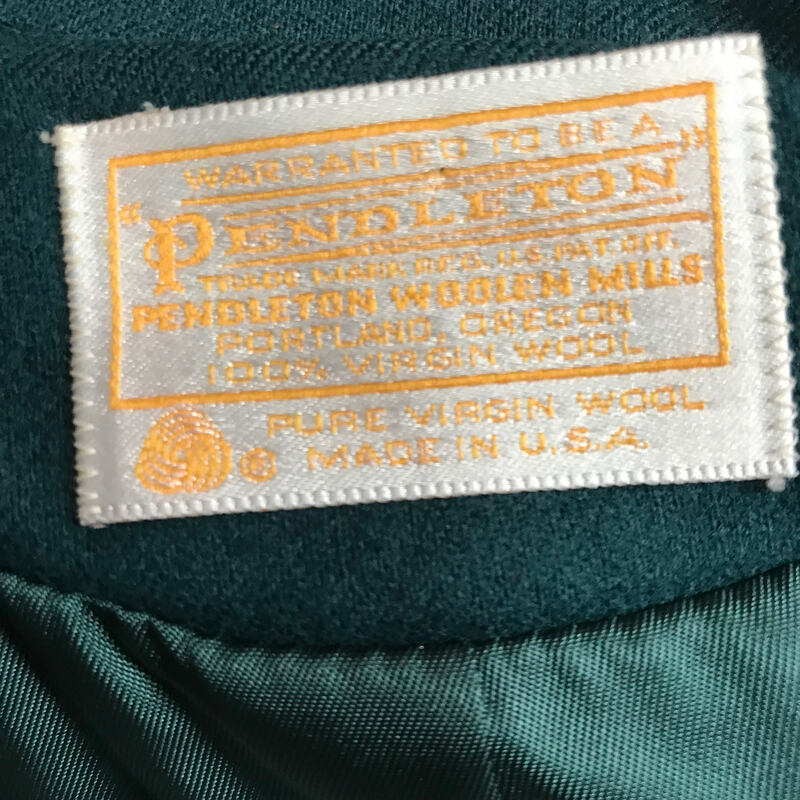 Tag: "Pendleton Woolen Mills, Portland OR"
Model Measurements: bust:34", waist:27", hips:39", height:5'9"
CONDITION: Good. There are several low spots in the wool, and three tiny moth holes: on the front of one lapel, on the front breast, and one near the pocket. (please see last photo for two on front).